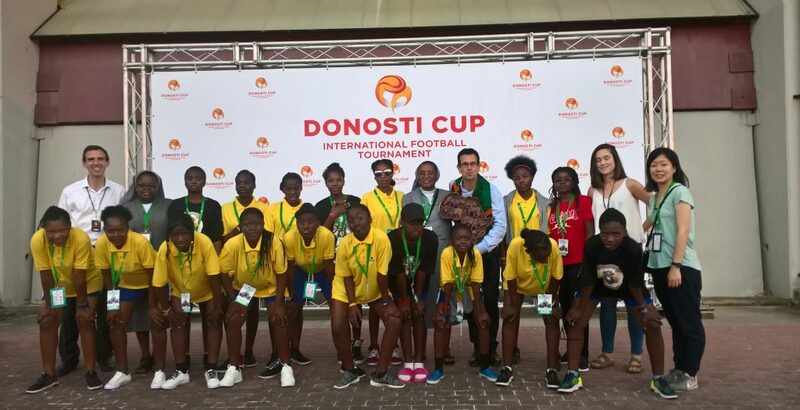 Donosti Cup, the most prestigious international soccer tournament in Spain and one of the most important in the world, has awarded the UNICEF prize to the Zambia team of Red Deporte. The 25th edition of the Donosti Cup has counted with the participation of 623 teams from more than 20 nationalities. Our team from Zambia, formed by girls from the support program for young and disadvantaged women in this country, had the privilege of spending a week with young people from all over the world, and not only playing football, but also enjoying and sharing an experience unique, that will carry in your memory for a lifetime. The sports brand Nike has been our sponsor to equip City Strikers. While our team has conceded a few goals, the victory of enthusiasm, effort and motivation has been overwhelmingly in our favor. Our participation in Donosti Cup, in addition, has been worth to give visibility to our project and live a few unique months before and after the tournament. Our sincere thanks to Donosti Cup and UNICEF to honor Red Deporte for such a valuable award.